FAU has received top marks in the latest U-Multirank university ranking. The University was ranked among the best in 13 of a total of 31 categories. The overall results show that FAU is an international leader in research and knowledge transfer. In the Research category, FAU’s was rated ‘very good’ for the indicators external research income, number of research publications, citations in important journals and postdoctoral positions. Furthermore, the University’s overall citation rate was rated ‘good’. 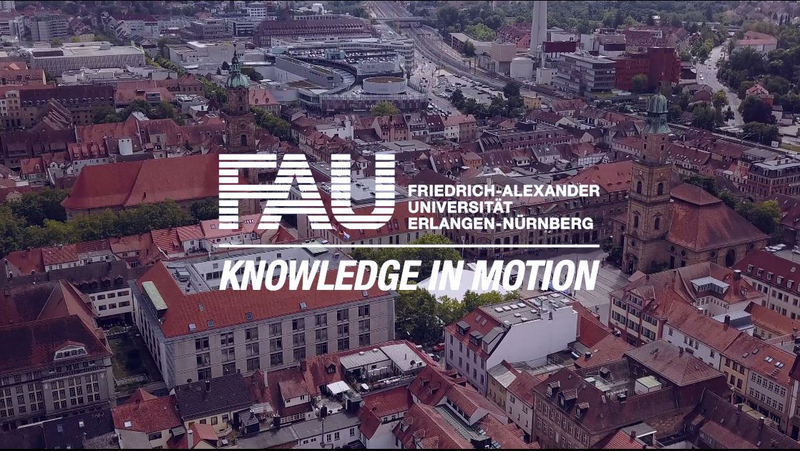 The second category in which FAU is one of the top universities is Knowledge Transfer. Here six indicators were rated ‘very good’: income from private sources, co-publications with industry partners, patents awarded (in total and per researcher), industry co-patents, and publications cited in patents. FAU was also ranked highly in the International Orientation category with regard to the number of international researchers, publications produced by international teams, and Master’s degree programmes taught in English. In the Regional Engagement category the University was given an excellent score for income from regional sources, while in the Teaching and Learning category its Master’s graduation rate was ranked highly. U-Multirank rates universities in five categories: Research, Teaching and Learning, International Orientation, Knowledge Transfer and Regional Engagement. Unlike other university rankings, it does not produce a simple list of rankings but rates universities for a wide range of performance indicators, providing an alternative view to other well-known international rankings. It includes information from more than 1200 higher education institutions in 80 countries, including 63 in Germany. Performance in different areas is compared for the universities as a whole, as well as for certain subjects. This year comparisons for computer science and psychology were included. The idea behind this is to help school pupils and students find the right university. Unlike other rankings, U-Multirank does not calculate overall ranks for individual higher education institutions.